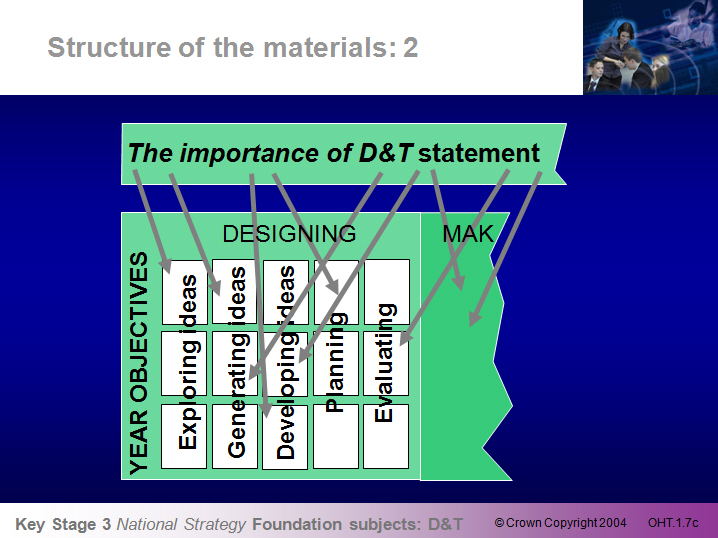 The KS3 National Strategy (2004) provided the framework for teaching D&T and is the basis from which the new National Curriculum has been developed. 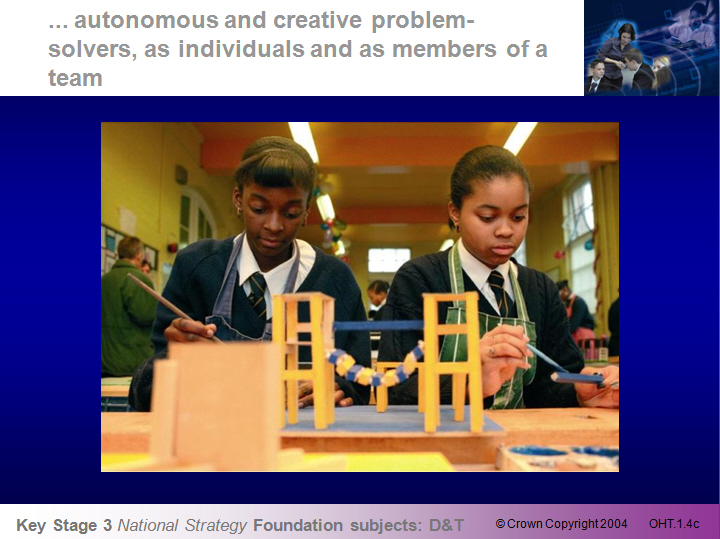 This module gives background to the framework and introduces how the vision and framework can be effectively put into place in developing a scheme of work for D&T in schools. 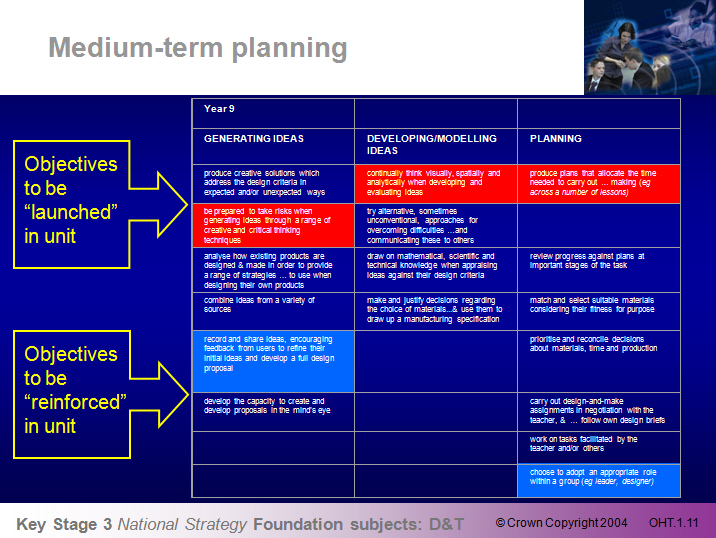 The resource contains a PowerPoint presentation introducing the framework, presenter session notes, handouts and associated support slides.